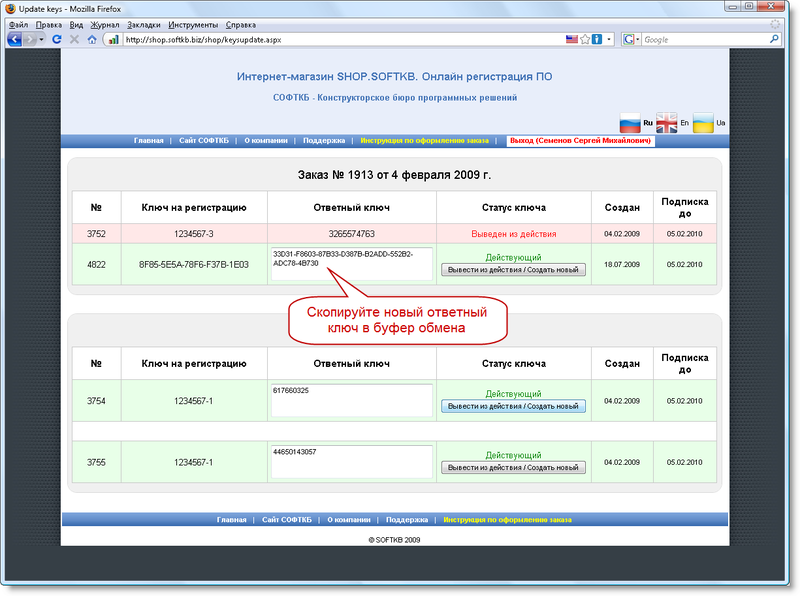 The article describes the work support system pritsip licenses products SoftKB. 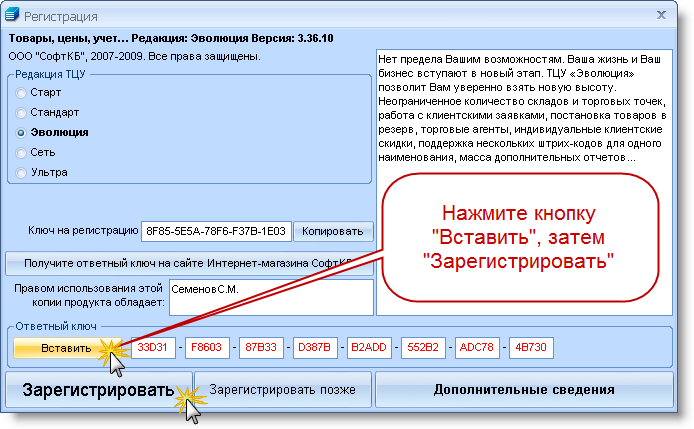 Support System licenses SoftKB company provides renovation and replacement license keys for software companies. In other words, users using this system have the opportunity to renew to the response keys, suspended as a result of regular and emergency situations. For example, when a scheduled for transfer to another computer or when forced to reinstall due to sudden equipment failures or operating system. In addition, given the opportunity receive software updates for the period of subscription, as well as to renew the subscription after the specified period. At the core of the service is a very simple idea. If in any program of SoftKB for any of the above reasons for changing the key for registration, then returned registration ceases to have effect. In doing so, the previous key to the registration may be inferred from the action (thus indicating that it has lost its effect), but instead it specify the new license key and obtain a new key is returned. Stress - after the withdrawal of the previous key is returned is no longer valid, that is a copy of the program, previously registered with it automatically "lose" registration . It is therefore necessary to exercise greater care in the derivation of the old registration key. Please note - a situation described in paragraph 6 of the table means that you have lost a license to copy the program for the workplace. It is therefore very important to have backups of the database TCU. Fair to note that a backup is important not only to support the licensing, but to save its working data. SoftKB strongly recommends periodically back up database and save them in a safe place !!! Fig. 1. Getting key for registration. further considering the option of registering a copy of the program on a PC with Internet access. Copy the key to the clipboard, or press the button "Copy" to the right from the field with a key. If the program is recorded on a PC, not having a connection to the Internet, you simply write down the key on a piece of paper. Please be careful and avoid mistakes! Fig. 2. 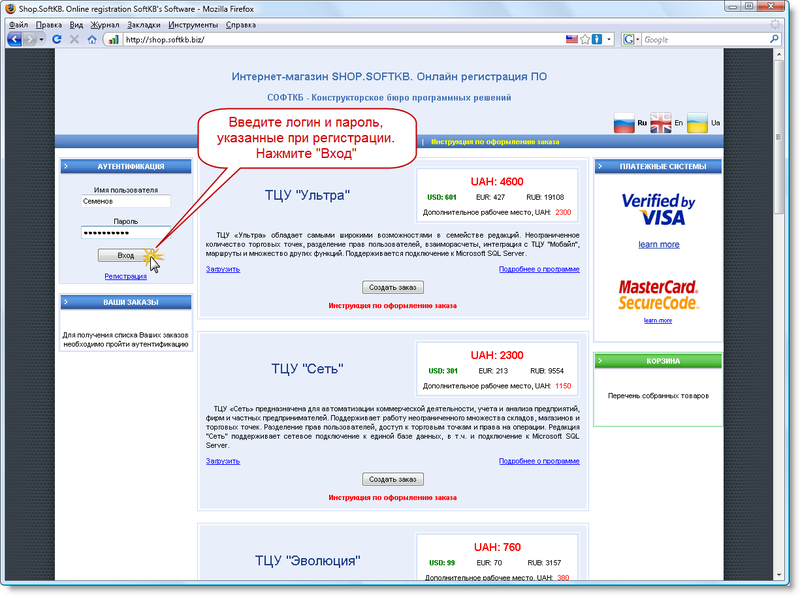 Authentication on the Internet site shop. Fig. 3. 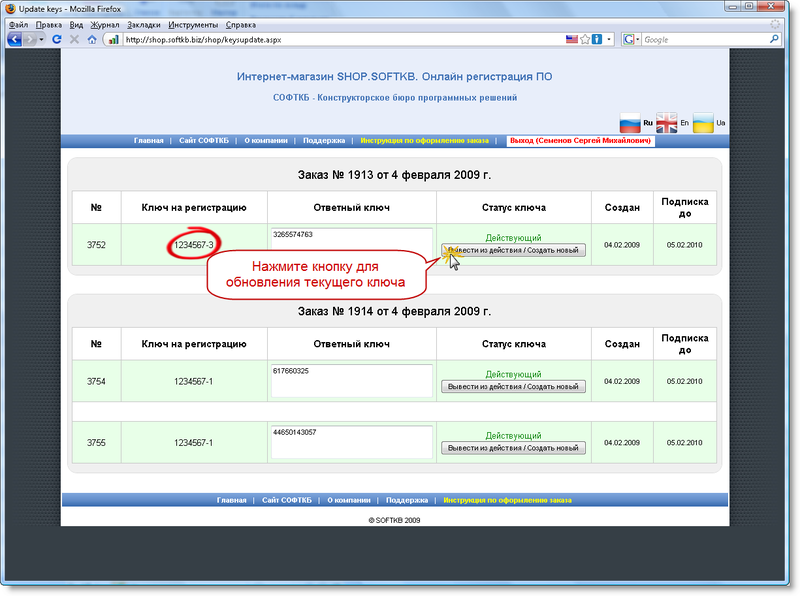 Go to the service support licenses. Look at the key for registration, you're going to be replaced by a new one. If you do not know what the key was in prior to that (for the reasons outlined in paras. 1.2 in the table above), then try to install it using the order number, order date, date of creation of a key, as well as from e-mail notification of registration sent to you earlier. Fig. 4. The page service. Enter a new key for registration, the first step - see Fig. 1. Then click "Get a response key"
Fig. 5. Enter the new key to be registered. Fig. 6. Copying a new reply key. Fig. 7. Writing a response key. If you are not a mistake when entering the key (and provided that the subscription renewal has not yet expired), then get a message about successful registration. You can continue to fully operational. 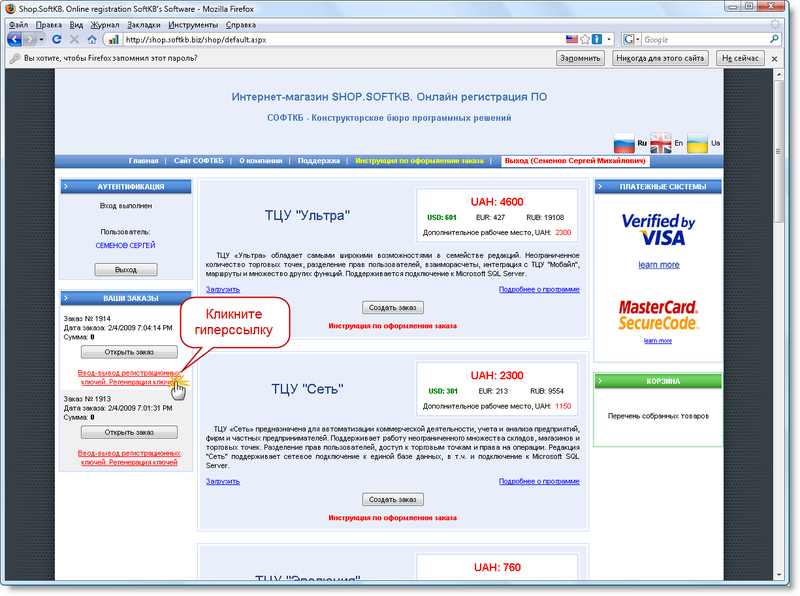 Thank you for using the support of licenses of our products SoftKB!